After losing 60 lbs., Francyne was asked several questions from "How did you lose the weight," to "How are you going to keep it off." 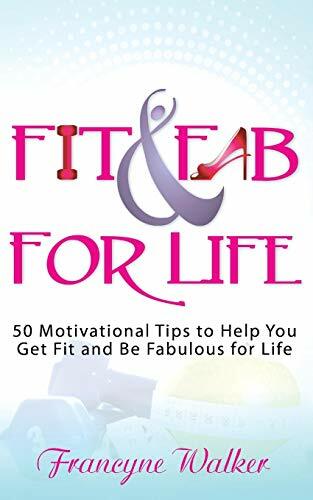 All the questions helped her write "Fit and Fab for Life," a collection of 50 tips to help readers get and be fabulous life. Francyne has worked for several years in the healthcare industry and understands the importance of maintaining a healthy weight. As a certified personal trainer, she works with individuals from all fitness levels and believes there are no excuses that should keep one from realizing their fitness goals and living fabulously. As a broadcast journalist, she understands the importance of looking good on camera. Francyne holds a B.A. in Journalism and an M.A. in Communications. She resides in Michigan, hoping to get one individual fit at a time, until the whole world experiences the fit and fab life.